For the most part, I try to eat pretty healthy and I don’t really drink alcohol except on special occasions. I like ice cream and dark chocolate, but I can certainly survive without them. One weakness, ok addiction, that I DO have is Chai Tea. Specifically, Oregon Chai Tea packets in hot water with a splash of steamed milk. Since we don’t have a steamer at home, I’ve discovered the battery-powered Aerolatte frother. It creates a perfect hot, sweet, frothy beverage to start my day. I really can’t seem to get going in the morning without one. 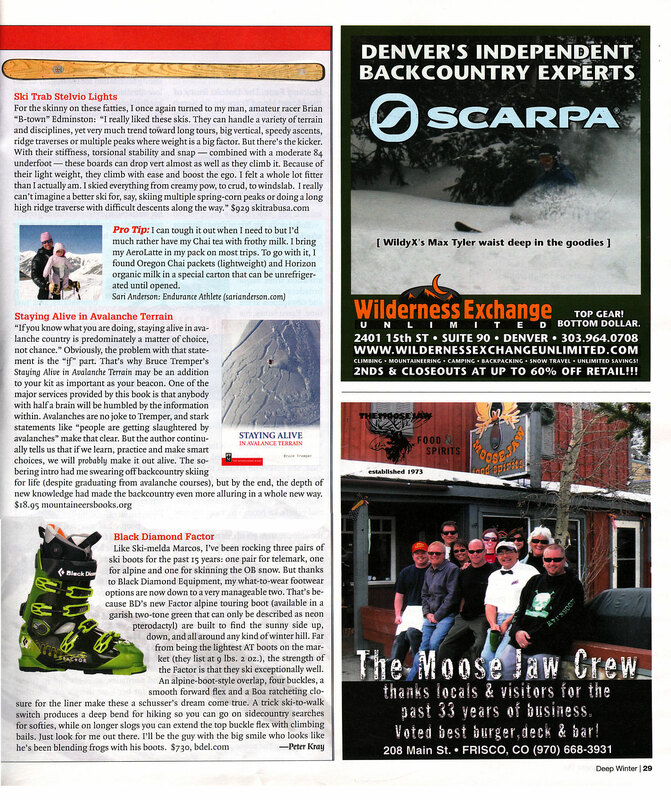 I’ve admitted my addiction, for the world to see, in the January issue of Mountain Gazzette. It’s a little embarrassing, but hey, admitting your problem is the first step to recovery, right? Click the scan below to see my “Pro Tip” (and a cute shot of Juniper) in this month’s Mountain Gazette magazine. Very cool. Especially since you got it in a magazine. Need to check out both the frother and the tea. As I sit here with a store bought capuccino.